Sign up and receive Property Email Alerts of Townhouses for sale in Dawncliffe, Westville. On the market at a very competitive price, this secure three bedroom Dawncliffe townhouse is a great investment opportunity or the perfect starter home for a young family. 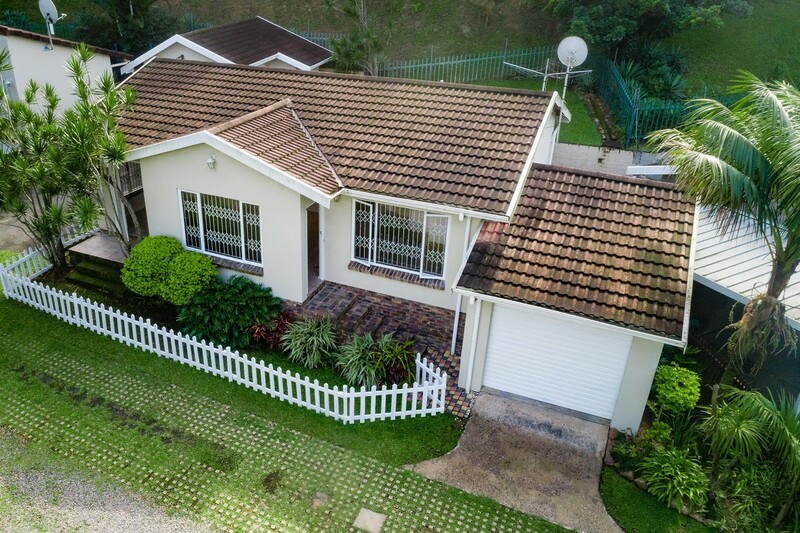 Conveniently zoned for all Central Westville schools, the complex is pet-friendly and secured by electric fencing and an automatic gate with intercom system. One of only three units, this 92 sqm starter home features an open plan lounge/dining room area, galley kitchen, three bedrooms, family bathroom, small garden, garage, as well as Trellidor gates on all windows and doors. From the front garden with a white picket fence, you enter through the front door into an open plan living room with space for both a lounge and dining room. Tiled throughout this space features blinds, ceiling fan, downlighting and French doors that open out onto a small garden patio. The dining room then leads into the galley kitchen, which is light and bright and comes complete with good storage and space for a double fridge-freezer. Natural light pours in through a large window and a stable door that opens out to the tarred courtyard area, which can also be accessed directly from the garage. Up a few stairs, you will find a small garden with a flat lawn - which is a great space for your kids and pets to play. It is not very often that you will find a well-priced three bedroom townhouse in a secure, pet-friendly complex, that is located in a suburb that is zoned for Central Westville schools. Schedule your viewing today! Sign-up and receive Property Email Alerts of Townhouses for sale in Dawncliffe, Westville.